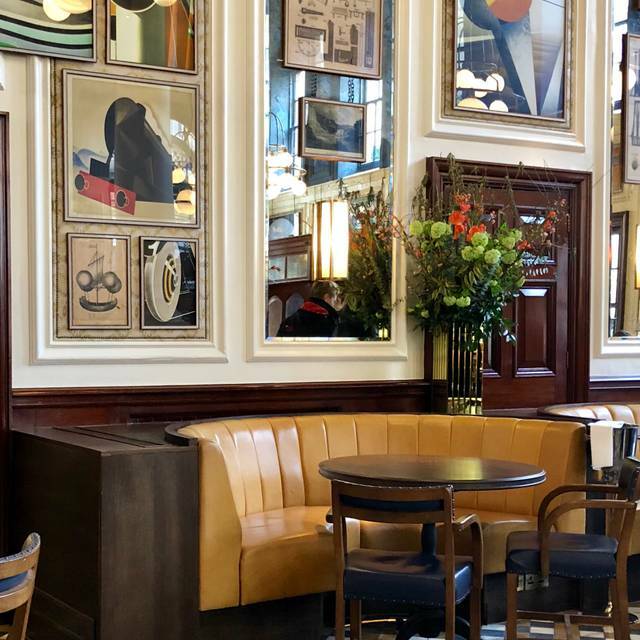 You must make bookings at least 5 minutes in advance of the time at Ivy Clifton Brasserie. 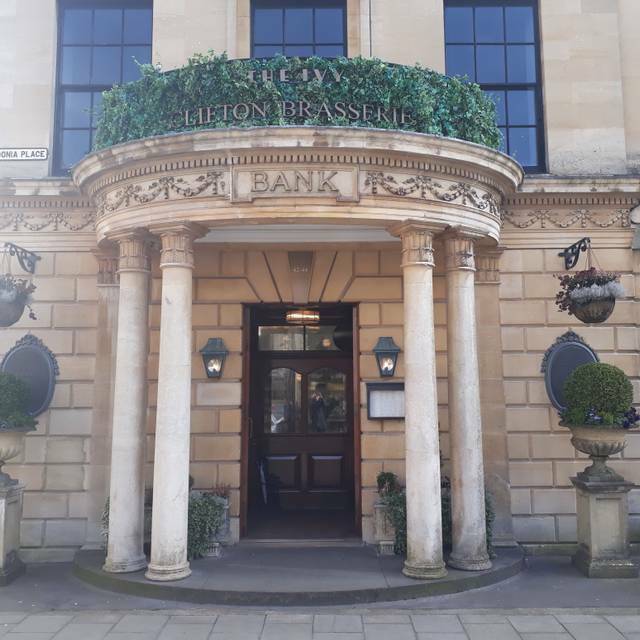 The Ivy Clifton Brasserie is open in the heart of Clifton Village, Bristol, located on the corner of Caledonia Place and The Mall, overlooking The Mall Gardens. 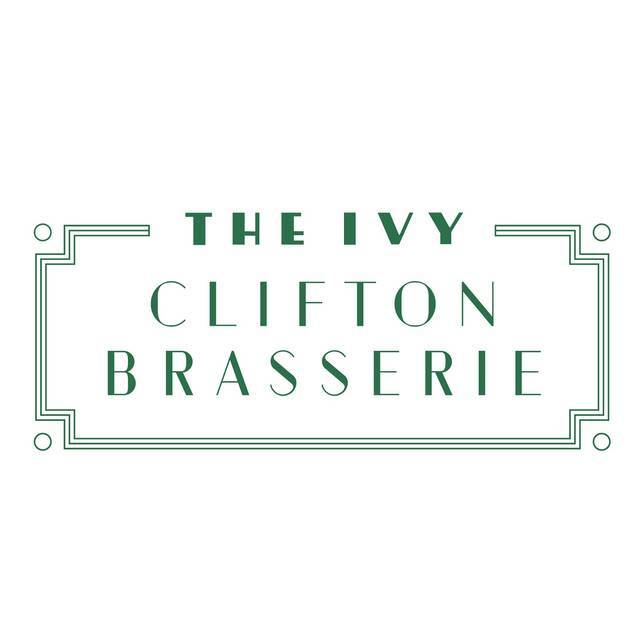 Open seven days a week, The Ivy Clifton Brasserie offers accessible all day dining for local residents, businesses, shoppers and visitors to the area, and brings some of the familiarity of The Ivy brand to ceaselessly chic Clifton Village. Tables are held back for walk-ins allowing locals to drop in throughout the day at their leisure, and the menus are all encompassing, serving breakfast, brunch, lunch, afternoon tea, light snacks and dinner; not to mention a specially created cocktail menu featuring a variety of classic and contemporary selections. The Ivy Clifton Brasserie has been designed to deliver the memorable experience that is synonymous with The Ivy’s unique style, in a more relaxed and accessible environment. Great breakfast and well priced. Beautiful smooth cappuccino in lovely surroundings and atmosphere in the conservatory. 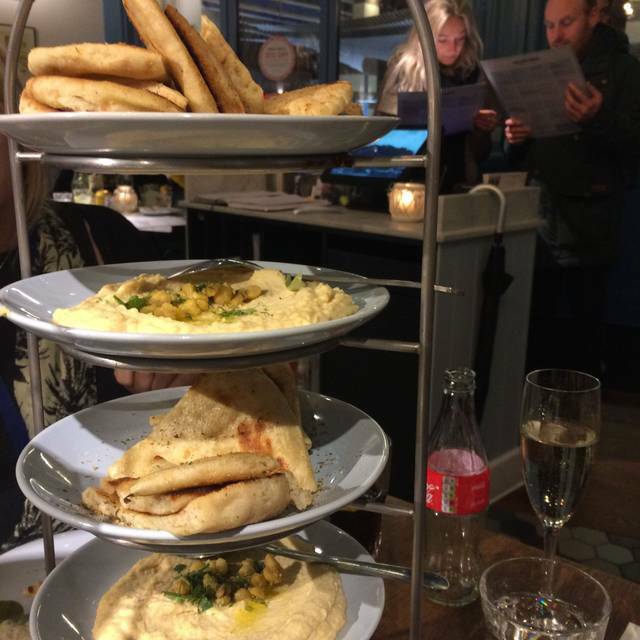 The Ivy Brasserie, Clifton offers a commendable service which I rate very highly. 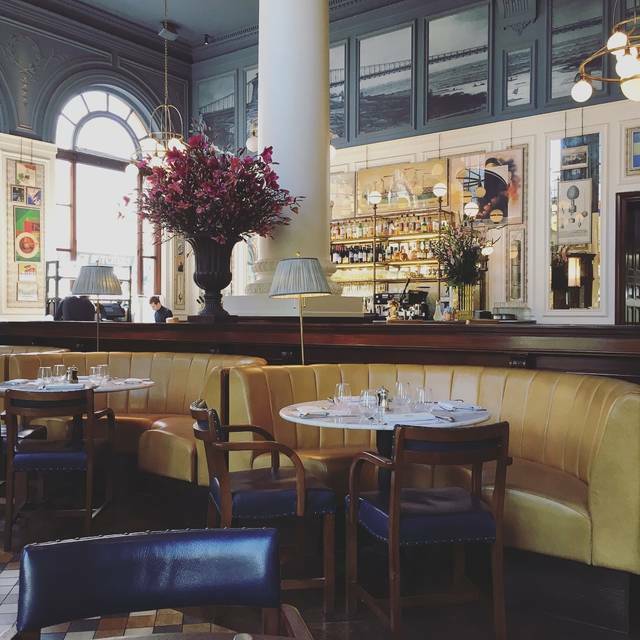 The restaurant itself is elegantly decorated and exudes a sophisticated vibe. The food arrived promptly, was presented exceptionally and was of high quality and delicious. I’m very happy with the service from the staff, especially the welcome. Overall it felt like fine dining. I would totally recommend it. Beautiful setting, lovely food, a fantastic experience! Good menu as always, but changes so infrequently that going more than once/month gets a bit dull. Had to chase for the bill and to order initially (we were forgotten about), which was a first at the Ivy Clifton, the service is normally really good. Food was fine, Shephards pie particularly tasty, duck pate with nutty bits on needs a change. It's fine but not very interesting. Came for breakfast with friends had a lovely experience! Staff were fantastic and food was great too. Will definitely be back! their busiest weekends of the year... Mothers Day! The afternoon tea was excellent but the table was unfortunately right next to the service station and hence, felt overlooked. The restaurant was also quite noisy making it difficult to hear some of the more quietly spoken staff. All that aside, we both enjoyed the afternoon tea and will definitely return for future special occasions. 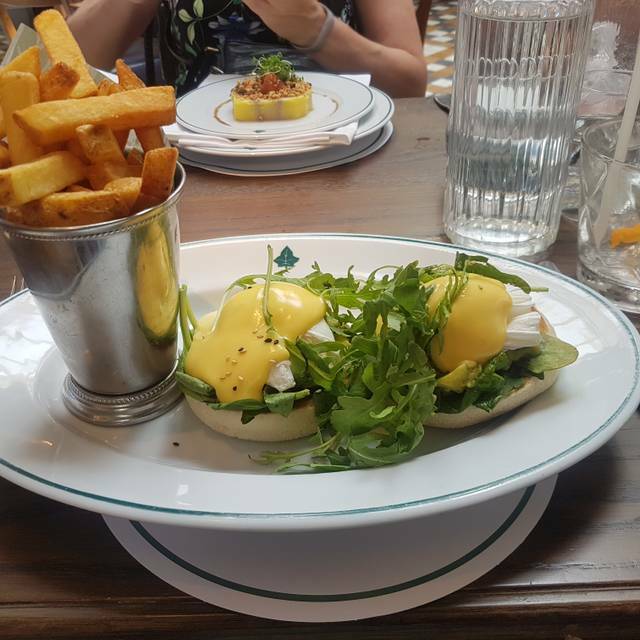 The Ivy in Clifton is consistently a great place for brunch with friends. Brilliant decor backed up with waiting staff that fit in with the era. Choice of food is brilliant as it caters for gluten free seamlessly. Nothing not to like. We’ll be good no back for more brunches and evening meals. Fantastic location in heart of Clifton Village, fabulous food coupled with exceptional service. we have eaten here a few times now always been a great experience! Lovely welcome and shown to table upon arrival. Food was very good and the service was excellent. Warm friendly welcome, visit to bar for cocktails is a must. Food was beautiful, my only minor complaint is that we found the dining room is noisy. The salt crusted sourdough bread as a side order was excellent value, only 4 quid for a whole loaf! Portions are trendily petite - order sourdough bread to go with your meal! It was really noisy - despite asking for a quiet table, I struggled to hear what my partner said. Not sure why they need that low background thud of indiscernible music that just made everyone talk louder! Every table was taken - they pack them in so tightly that I was closer to the people on my right and left than my partner across the table, and was more able to hear what the people on the next table were saying than my husband! The Ivy is lovely! The staff were so helpful & made sure my table had everything we needed. 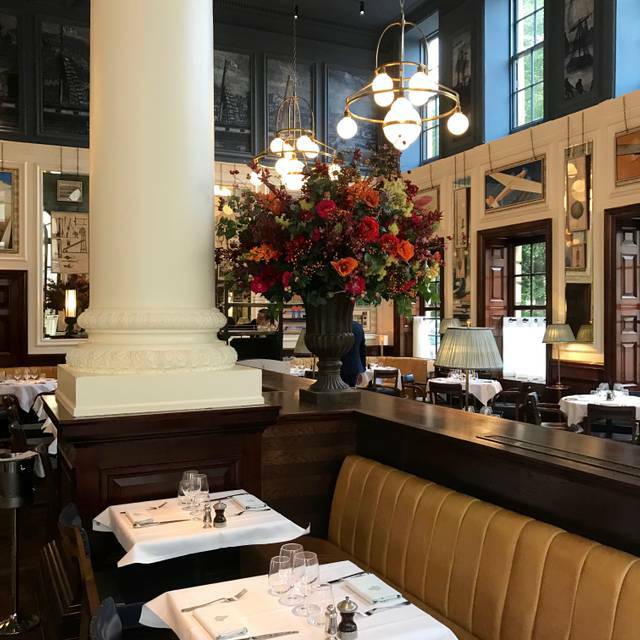 When I booked online I selected it was a date and we were sat in the window in a lovely atmosphere, definitely recommend to others, thank you. A delightful afternoon tea experience. Scones are fab and the service is good. I just love it here! It’s such a beautiful space. Stunningly impressive. Really high quality but not stuffy or snooty. Loads of friendly staff who are never in your face. Perfect place for an occasion or just a casual treat. 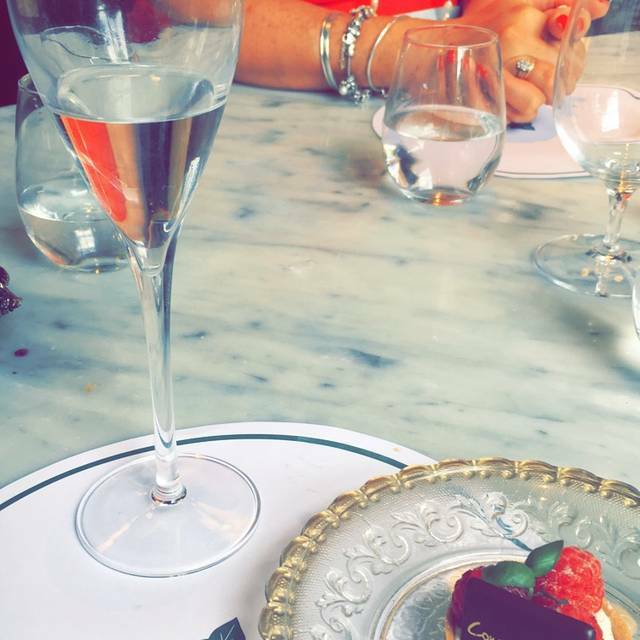 We thoroughly enjoyed our lunch at The Ivy Clifton. The food was good except that the butternut squash wasn’t cooked through. Apart from that we enjoyed everything. Lovely building, environment and atmosphere. Shame they don’t offer Sunday roasts at the Ivy. Cocktails good, but expected more knowledgable and sleek cocktail making staff. No nuts or nibbles on the bar and with cocktails at these prices, we expected more. We’d explained we wanted a couple of cocktails at the bar before eating, at the time of booking, but despite this, 3 attempts were made to move us to our table. Waiting staff were friendly, patient and efficient. Food good albeit portions modest. Service rather slow but food was freshly cooked. Very warm at our table. It was a beautiful sunny day outside when we visited. Unfortunately we were told the Ivy is not allowed to open the windows or french doors, due to concerns by nearby residents about noise levels. Excellent service and a lovely dining experience as always. Great place for breakfast, brunch, lunch or a special evening meal - wonderful food, excellent service and really beautiful surroundings. Would definitely go again. Good service . Poor brunch presentation and lacked imagination. Buck’s Fizz was mighty expensive would consider offsetting this and investing in better food. Was disappointed overall but nice to spend time with my friend. An amazing venue with very high quality service and excellent food. Beautiful decor , an experience which brings together all the classic elements of quality . Thoughtful service which is friendly but remains service , nice to not be referred to as “ mate” or “guys” . Great cocktails , with appetisers, three of us then enjoyed two courses with wine and coffees. Slightly limited menu . Everything we ordered was tasty , portions correct , service was neither rushed nor slow . If any criticism toilets were not as clean as they ought to be paintwork a bit grubby. Thanks to staff for an enjoyable afternoon. As always a lovely experience . Good food and really good service. I booked at 2pm for me and my wife, not realising afternoon tea starts at 3. The bar man kindly asked the kitchen if I could have it a bit earlier, and they were very understanding. The food was brought out at 2:45, which we didn’t mind at all, so thank you for making an exception. Plus, my wife did not get mad! Cheers! 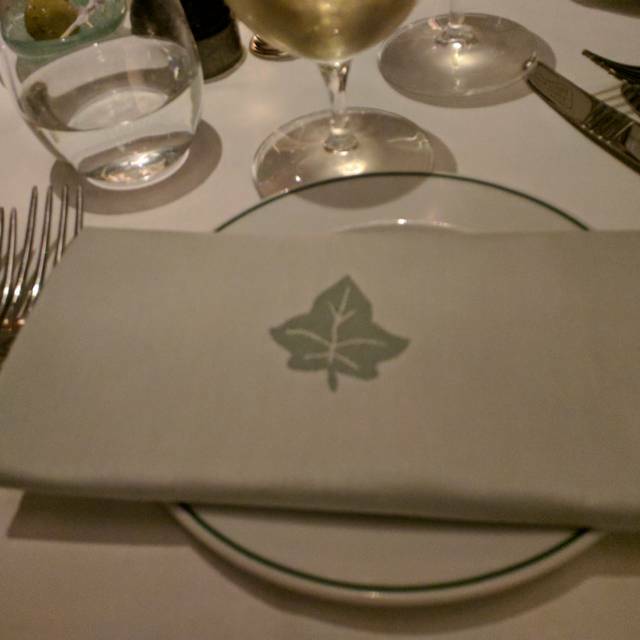 First time at the ivy and I have to say I really enjoyed it. Very attentive staff and the food was perfect! Really loved the look and feel of the decor too! A generally enjoyable experience. Excellent service. Very noisy - acoustics could be improved. Nice food on the expensive side. Was a very special experience. Felt very welcome. Breakfast amazing and staff could not do enough for you. The venue was clean, had a smart casual ambience and the staff were very friendly and attentive. We didn't feel rushed but equally didn't have to wait long for our food. When it arrived it was hot, looked freshly made and tasted wonderful. It is refreshing to have regular foods offered innovatively cooked and presented rather than simply opting for richer tastes. Love Ivy Brasserie in Clifton. Lovely staff, beautiful room, we were in the conservatory, looking out onto the small but perfectly-formed garden - bliss. Service slow and once we had the hot drinks to go with our afternoon tea we didn't get any further service, e.g. no fresh plates or cutlery offerd, no offer for us to order more drinks and had to wait a lengthy period to get some attention to request the bill.